On World Fish Migration Day, we will discuss Restoring the River Shannon: how to take positive action on the many issues affecting fish migration on the Lower River Shannon. This event aims to bring together all interested parties who wish to ensure a sustainable management of the River Shannon for the benefit of fish migration, ecology, and of course the catchment residents and varied user groups on the river. Speakers and topics on the morning include Dr. Will O’Connor (Ecofact) on how to restore the River Shannon; Gerry Siney (Shannon Protection Alliance) on Dublin Water Supply Project and its threats to the Shannon; and Eoin Brocket on reviving salmon angling in the Shannon catchment. Other participants will include The Limerick Green Party and Patsy Peril who will present a model of the River Shannon. Ormston House is also currently presenting the Museum of Mythological Water Beasts with new works by Andreas Kindler von Knobloch, Tom Watt and Tanad Williams which can be viewed on the day. Restoring the River Shannon has been organised by Limerick Underground and the River Shannon Foundation as part of World Fish Migration Day. To learn more about the context of the event, visit World Fish Migration Day here. 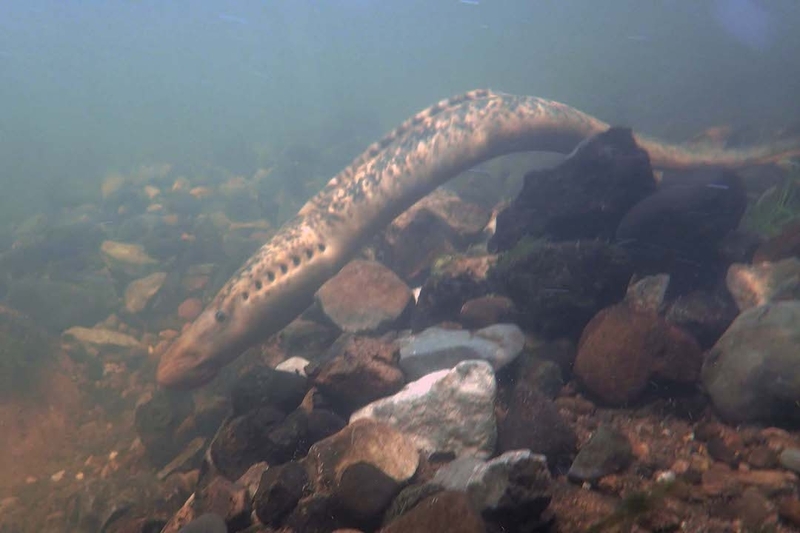 Image: lamprey in the River Shannon, photograph courtesy of Ecofact.